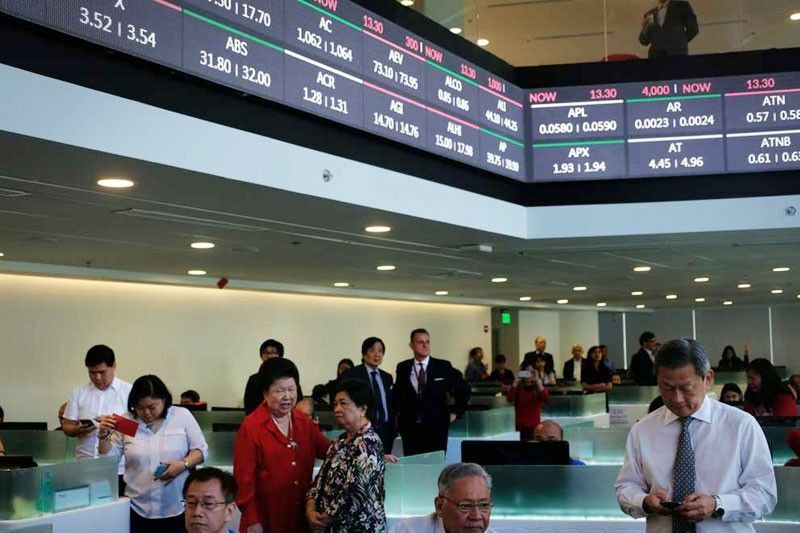 MANILA, Philippines — The benchmark Philippine Stock Exchange index (PSEI) recovered yesterday ahead of the meeting of the Bangko Sentral ng Pilipinas (BSP). The PSEi, the stock market gauge, gained 96.52 points or 1.22 percent to end at 7,954.72. The broader All-Shares index was also strong, finishing at 4,888.79, up 41.30 points or 0.85 percent. All other indices finished in positive territory. The holding firms recovered yesterday as market investor digested recent corporate earnings results of conglomerates. However, total value turnover remained thin at P5.656 billion. Market breadth was negative, 124 to 76 while 43 issues were unchanged. The Bangko Sentral ng Pilipinas (BSP), meanwhile, kept interest rates unchanged at 4.75 percent with officials saying prevailing settings are appropriate amid easing inflation and firm domestic activity. However, monetary authorities said there is risk to growh if the budget impasse is not solved. “With the Federal Open Market Committee indicating no further rate hikes in 2019, investors bought into local shares ahead of the BSP meeting later in the day. The FOMC left the funds target unchanged as widely unchanged,” said Luis Limlingan of Regina Capital. The BSP’s move to keep rates steady in its meeting yesterday was widely expected by investors, he said.